Thoreau was a free spirit who lived his life following his heart and his conscience without seeking praise or approval. He did not want to spend his life compromising with social conformities such as work, money, family, fame and success. Despite the fact that his greatness as a philosopher was not recognized by his contemporaries during his lifetime, Thoreau, together with his close friend Ralph Waldo Emerson, is a major figure of New England Transcendentalism, which was a significant literary movement of the 19th century America. Gandhi said: "Thoreau's ideas influenced me greatly. I adopted some of them and recommended the study of Thoreau to all of my friends who were helping me in the cause of Indian Independence. Why I actually took the name of my movement from Thoreau's essay 'On the Duty of Civil Disobedience,' written about 80 years ago." He was not only a philosopher, but also a naturalist who enjoyed the simplicity of natural life, supported the utmost importance of disciplined living close to nature, explained the relationship people had to develop with the environment, and stressed the benefits of self-reliance. Through his work he conveyed the message of successful living away from materialism, he was a proponent of slavery abolition, he expressed radical political ideas, but above all, he concentrated on man's spiritual development. Henry David Thoreau was born in Concord, Massachusetts on July 12th 1817. His father John was a pencil maker and he was of French origin. He had one brother, John Jr. and two sisters, Helen and Sophia. He attended the local public school and at the age of 16 he entered Harvard University where he studied classic philosophy, maths and science. When he graduated in 1837, America was going through the difficult time of an economic depression and it was not easy for young Henry to find a job. It was at that time that he returned to Concord and met Ralph Waldo Emerson who advised Thoreau on how to publish his writings and introduced him to the literary circles of the time. Later Thoreau managed to get hired as a teacher in the Concord primary school, but he had to resign after a dispute with the headmaster over applying corporal punishment as a discipline method. For some time he worked in his father's pencil factory, but in 1838 he and his brother decided to open their own school in Concord. They worked well together but his brother became seriously ill with tetanus and died in 1842, so Thoreau had to close the school as it was too difficult for him to handle it alone. After his brother's death Thoreau was devastated and joined the Emerson family as the children's tutor and a handyman. At the same time he continued keeping his journal, which he had started in 1837, and wrote several essays seeking journalists and publishers to help him publish them. In 1845 and while he was still writing his first book, "A Week on the Concord Merrimack Rivers", he went to live by himself on the banks of Walden Pond. He built a log-cabin and lived there for two years. 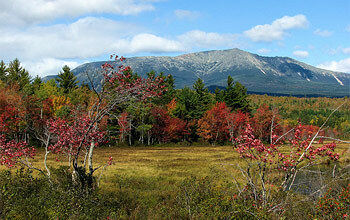 For him it was an opportunity to finish his first book, philosophize, and write his masterpiece Walden. In 1846, he refused to pay a poll tax because he knew that the government used this money in the Mexican- American War and to support slavery. He spent a night in prison, which had a profound impact on him. In 1848, he gave several lectures on "The Rights and Duties of the Individual in relation to Government" and these lectures formed the basis for his essay on "Civil Disobedience." After staying at Walden Pond for two years, two months and two days, Thoreau published his book "A Week on the Concord and Merrimack Rivers" at his own expense. The book did not sell well and left Thoreau in debt. For the following years he worked again in the pencil factory and as a land surveyor in order to pay off his debt. He also became really fascinated with natural history, botany and the theory of evolution of Charles Darwin. He traveled to Maine, to Quebec, to Cape Cod and many places of natural beauty such as the Niagara Falls, the Great Lakes region, and several big cities like New York, Philadelphia, Detroit and Chicago. Wherever he went, he kept notes on the flora and fauna of the place, on rare species and on the destruction of some indigenous plants and trees. "Now comes good sailing" were Thoreau's last words. 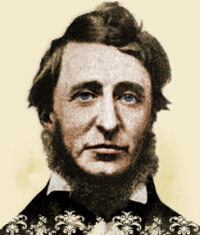 Thoreau died of tuberculosis on May 6th, 1862 at the age of 44. His friend Alcott planned the burial service and Emerson wrote the eulogy in which he said: "The country knows not yet, or in the least part, how great a son it has lost..." He was buried in Sleepy Hollow Cemetery in Concord Massachusetts, where he had lived most of his life. Thoreau was looking for a life of wisdom, which he sought in both understanding reality through the study of nature, and the essence of existential philosophy. His quest was described in Walden, which is not only a work of natural observation, but also a study on the human limitations and the realization of human potential. In Walden, Thoreau found himself in search of "a language which all things and events speak without metaphor," and which can be interpreted as God's divine language. We can say that Thoreau was an ecological prophet. He viewed Earth as a living sphere and nature as a perfect entity. It is our limited understanding that prevents us from realizing its wisdom, and he warned us against tampering with nature, as the results may be harmful. In his Journal as well as in his work The Maine Woods, Thoreau expressed his belief that nature is untamable because of its Godlike properties, while it is the source of our internal vigor, the vigor that urges us to explore ourselves and our mental and spiritual potential. Thoreau, just like Kant, believed that individual development is the instrument of improving society and that enlightenment which is individually achieved will eventually move society ahead. Thoreau was not a hermit who did not appreciate the values of civilization and organized society. Without being an anarchist, he was a proponent of human rights, fair laws and moral governments, and always supported the people's right to defend themselves against unjust laws and violation of their natural right for freedom. That is the reason why he was against slavery and the Fugitive State Law. His beliefs and his essay on "Civil Disobedience" have affected Gandhi's revolutionary movement, the thought of Leo Tolstoy, the Russian writer, and the black activist Martin Luther King. For more than 150 years, Thoreau has been a source of inspiration for philosophers, politicians and ecologists. His writings combined the Greek, Roman and Asian philosophy along with the European way of thinking of Descartes and John Locke. He developed the area of natural observation, and wrote about the value of land and simple living, respect to natural laws, and individual development. His work acts as an incentive to make everyone of us start pondering on the meaning of life and attempt a deep exploration of self.